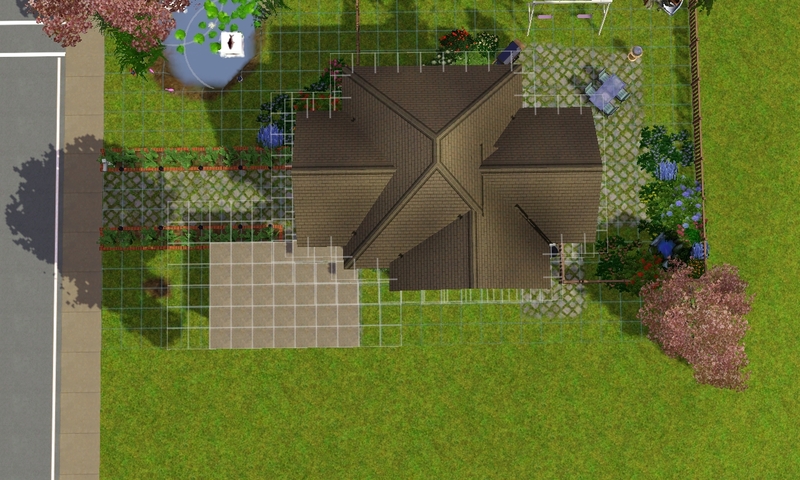 After sitting on this site and doing nothing for ages, I thought I'd jump in on a contest. 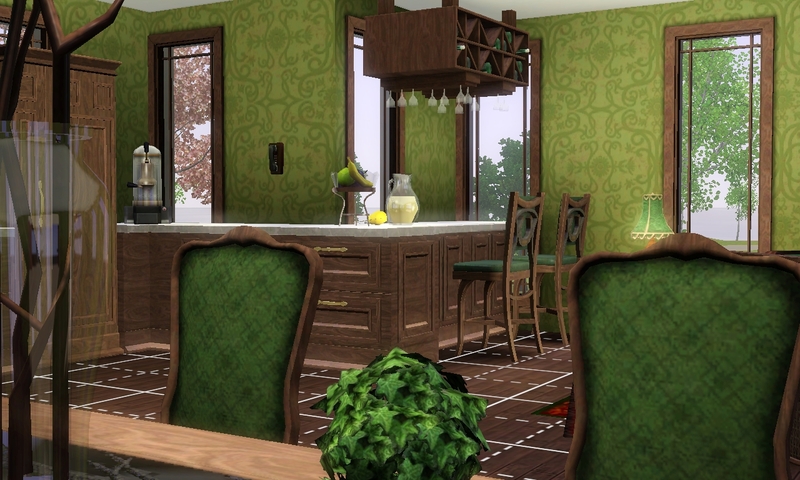 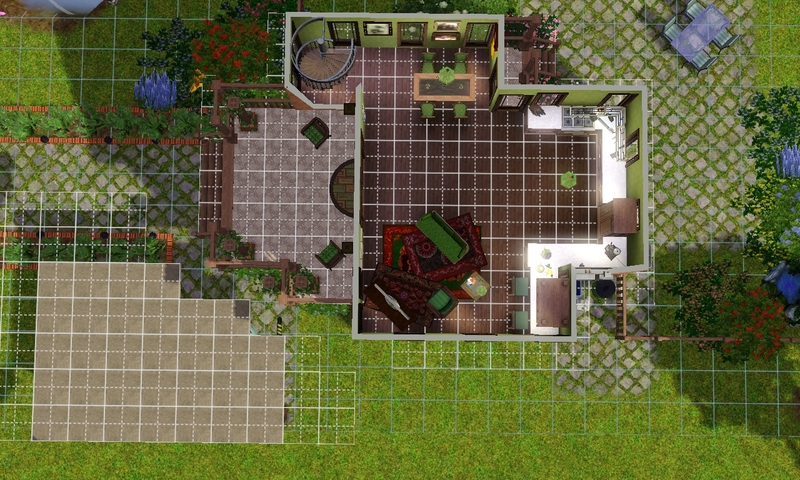 A nicely furnished home for a small family of three, decorated in tones of green. 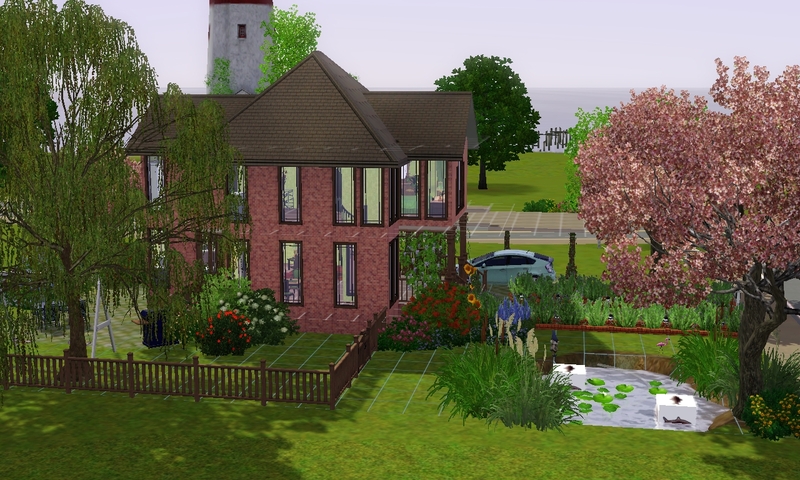 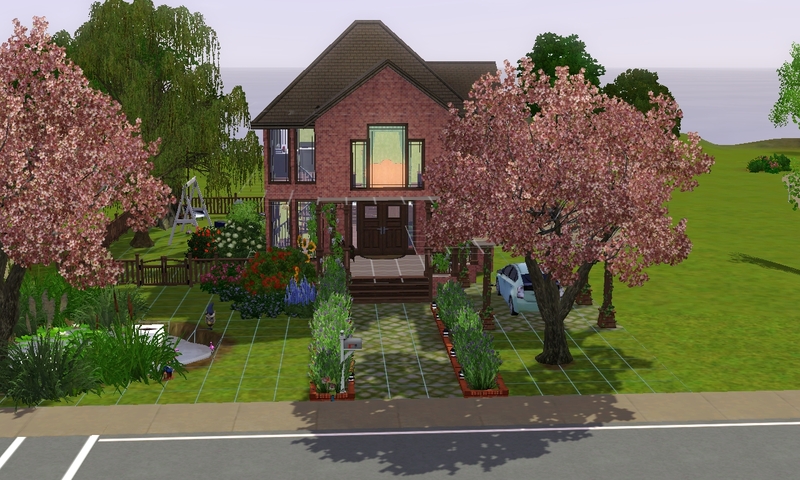 Featuring lavish garden space and an open main floor this home is a great place for your sims who happen to have a quiet elegant side. 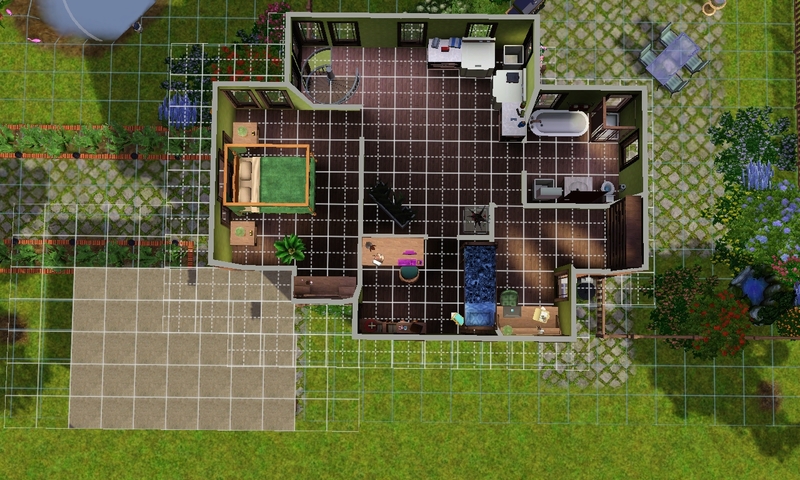 The house includes a sparsely furnished master bedroom, a snug study, a trendy room for a teen girl, one full bathroom, a large front porch on which to enjoy weather, an airy kitchen, open yard space, a treehouse and swing set, along with numerous other features your sims will be sure to love. 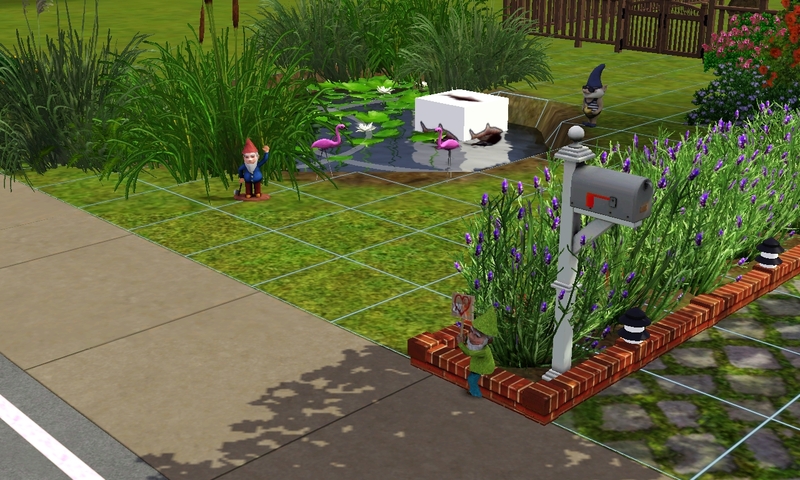 Gnomes chillin with the flamingos at the pond. 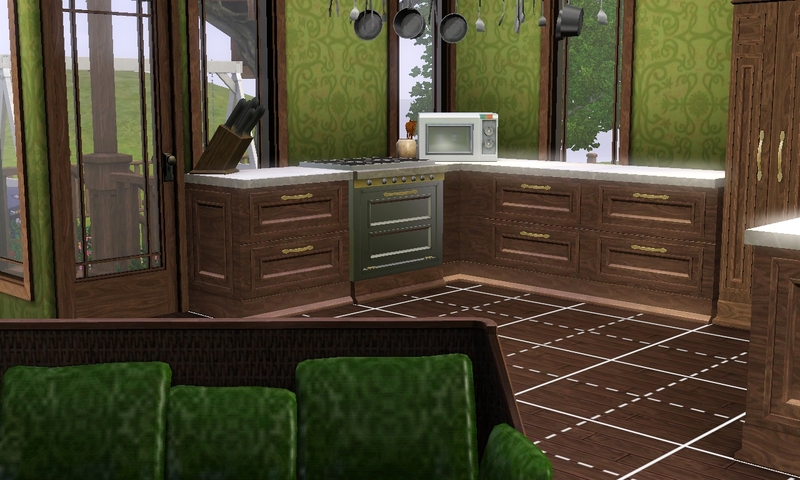 Breakfast counter, viewed from dinner table. 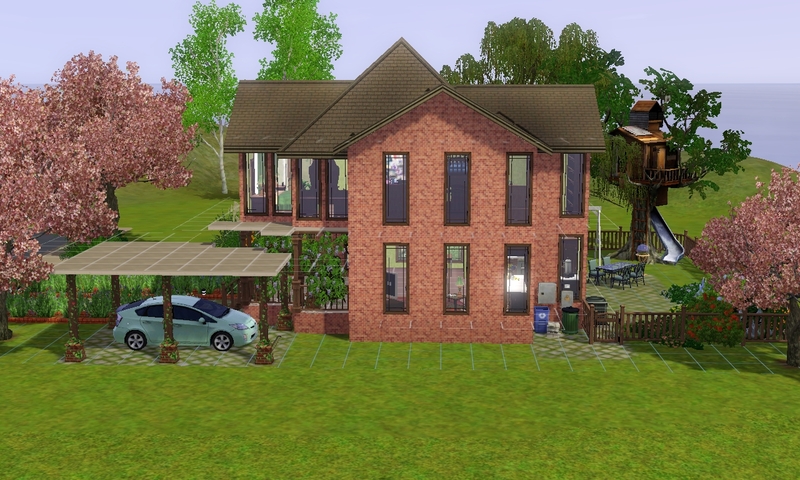 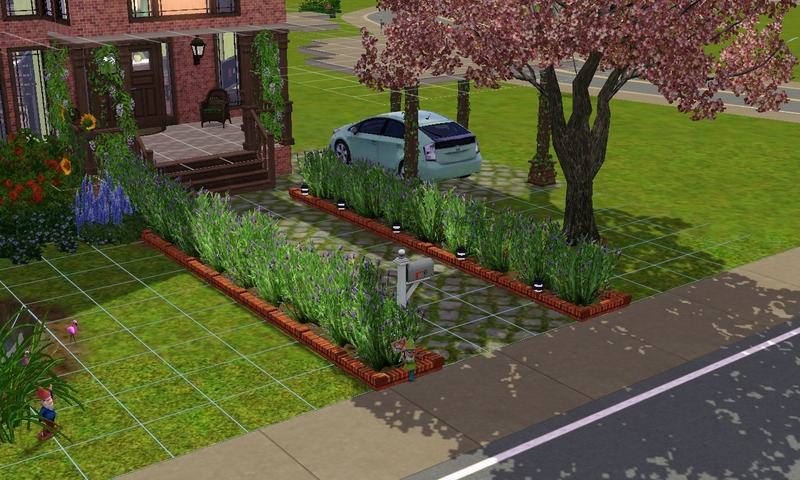 Carport and front porch, also I spy a really cute car. 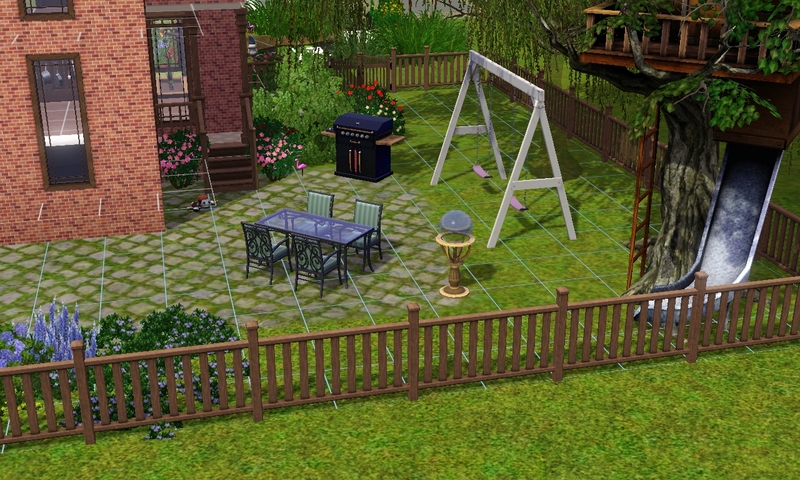 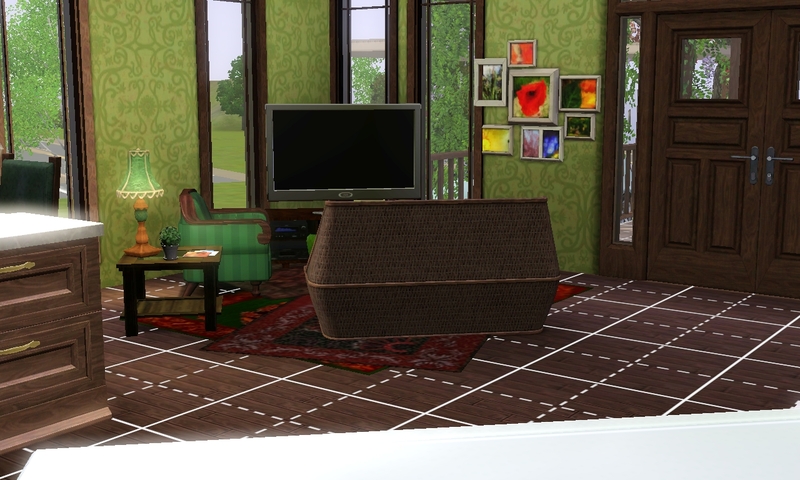 And the only other CC I recall using are the windows, but I can't for the life of me remember where I got them.